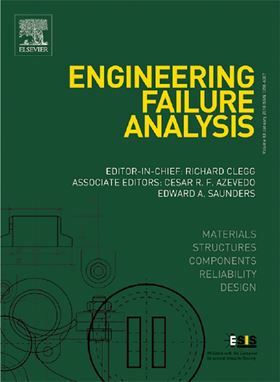 The research paper 'Resonance of torsional vibrations of centrifugal pump shafts due to cavitation erosion of pump impellers' has been published in Elsevier journal Engineering Failure Analysis. Selected results were gathered during investigation of centrifugal pumps used in a sea water cooling system of a diesel power station are presented in the paper. The main goal of research was to explain the reason of occurring fractures in pump shafts. The investigation has shown that the fractures were caused mainly by the resonance between pump shaft torsional natural vibrations and those following from the pressure fluctuations related to the frequency of the shaft rotational speed and the number of impeller blades. The resonance occurred as a result of intense erosion of pump impellers derived mainly from cavitation phenomenon that caused about 20% of the impeller mass decrease. The scope of the investigation has covered among others: erosion damage recognition, tests of the investigated pumps operating conditions, spectral analysis of pressure fluctuation generated by the pump blade system as well as strength analysis of the pump shaft and the frequencies of its natural bending and torsional vibrations.